So, where do I START if I want to BUILD a home? If you dream of building a home you have come to the right place. 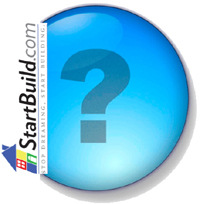 StartBuild.com is the #1 source for everything you need to “Stop Dreaming and Start Building!” Whether you are just looking for construction information or you seek the advice of experienced construction planners, StartBuild has the tools, the experience and the technology that will save you time, save you money and help you to avoid costly mistakes from the very start. Why do I need a good business plan for my construction project? Building a new home is the single largest financial business decision you will ever undertake. Not to mention, a new home will be the greatest asset in helping you to build equity and personal wealth. Planning for such a monumental undertaking is crucial to achieving success. Building a home is not that complex. Why do I need StartBuild.com to help me? A residential home construction project involves dozens of sub-contactors, material vendors, city officials, inspectors, real estate agents, escrow officers, title representatives, loan administrators, engineers, home plan companies, banks, attorneys, appraisers and utility companies just to name a few. You will also be confronted with important construction decisions that could potentially create cost overruns, time delays and/or additional loan fess. Should you make thousands of dollars in costly mistakes on your own, the end result could lead to a foreclosure and ruined financial profile. StartBuild has a team of experienced professionals who have walked people – just like you – through this process from start to finish. Our services and counsel will help you successfully manage the complex process of building your dream home. I already hired a Builder - How would your services still be valuable to me? One of the main reasons people decide to build their own home is to save money and earn valuable equity. It is very likely that a builder will not disclose his or her true cost for labor and materials (it’s their profit after all). If your goal is to save money, wouldn’t it be helpful to know – down to the cent – the true cost of lumber, siding, windows, subcontracted labor, etc? Our services and products put you in control of every facet of the project, down to the last nail! The result is a home project with the “true cost” of doing business, not one that is inflated with profit and mark-up. Our services will give you the upper hand in negotiating costs with your builder. Can you help me with home plan modifications and my building department? Yes. StartBuild has relationships with reputable home plan companies, designers and structural engineers who can assist you in modifying your plans or even designing a home from scratch. We can assist you with bringing your plans up to local codes and ordinance requirements in order to obtain your building permit. A permit which is typically required for construction loan approval. Keep in mind too that an efficient and easy-to-build home plan will not only allow you to build quickly, but avoid unnecessary material waste and time delays. A StartBuild.com Construction Planner can assist you with your plan modification and engineering quote requests. What is included in the StartBuild Home package? StartBuild.com along with our preferred vendor, 84 Lumber the largest privately held material supplier in the country, has created a package of building materials that will allow you to build a new home as efficiently and economically as possible in today’s challenging market. By offering primary building materials at contractor pricing backed by a 12 month price guarantee you can be assured that you will receive competitive material pricing without the risk of market fluctuations over the course of your project! A StartBuild package will include items such as framing materials, roofing, siding, windows, interior and exterior doors, insulation, drywall, interior trim and kitchen and bath cabinetry. In addition, we have formed an alliance with a National Federally Chartered Mortgage Bank to offer up to 100% construction financing if qualified. This unique loan program will allow you to finance land acquisition cost, material and labor costs, closing costs and other related project costs. This unique relationship with our partners will provide you with the services and support needed to become a successful home builder. I purchased the Cost-to-Build Calculator - Why will I also need a construction budget? The cost-to-build calculator is a preliminary estimate based on basic information about a stock (i.e. generic) house plan. While it provides a quick reference for estimating the cost to build a particular plan that you are interested in building, it is not a substitute for the detailed planning necessary to create a rock solid budget required for bank approval and a successful project. StartBuild budgeting services take your personalized home plan, local building requirements, material and labor costs to the next level. Through bidding assistance, bid review, accurate material pricing and building department fee reviews, we will help you create a budget that is 100% accurate for your specific project. Anything short of this detailed planning will result in a guesstimate that could cost you money, time delays and prevent you from securing financing from your lender. How will your Online Construction Budget Tool help me? Imagine hundreds of pages of bids, quotes, building department information and business cards being cluttered on a table, in a manila folder, or in a filing cabinet. Quite a mess, isn’t it? The StartBuild Online Construction Budget allows every document pertaining to your project to be efficiently filed in an internet-based program. Documents can quickly be found, opened and printed or saved anytime – day or night! This tool will help you locate receipts or bids in the case of a billing dispute, find a business card for a subcontractor you met five months ago, and even help you with your taxes. In addition, the online budget contains hundreds of valuable content pages describing every facet of the construction project. How do I know if my project will work? That answer depends on the answers to many questions. Such as, how much does my finished project appraise for? Are there sold comparable homes in my area with similar size and value? Do I qualify for a loan in today’s declining market and mortgage turmoil for the amount of money I will need? Will my construction budget be approved by the bank’s costing underwriters? Are there any covenants, conditions and restrictions, variances, easements, setback requirements, ordinances, home owner’s association requirements or other building issues that could prevent, delay, or even increase my cost of obtaining building department approval? If you need answers contact StartBuild.com today and request a project feasibility study and report before you spend another dime. An expert Construction Planner will work one-on-one with you and prepare a detailed report outlining specifically everything you need to ask, find, or accomplish to get you project moving forward. I need financing for my project. How will your services help me obtain a construction loan? The few banks that still offer residential construction loans all require the same information about a project in order to underwrite and approve a construction loan. Unlike purchase loans, refinances and equity lines of credit this process is considerably more complicated and requires significantly more supporting documentation and information than you may be accustomed to providing to a lender. StartBuild.com has underwritten thousands of construction projects on behalf of our customers and lenders that we have worked with and we can provide you with the critical path you must follow in order to obtain loan approval.